C&H Machine excels at precision 3D milling and 3D surfacing services for mold work, hard milling, and other specialized applications. 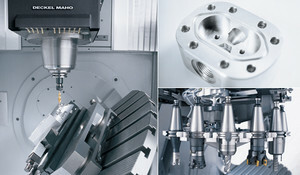 High speed milling can be used to produce the highly complex components needed for applications in a variety of industries, from aerospace and electronics, to athletics. Our world-class 3D milling and 3D surfacing processes will meet any requirements you may have for tolerances and production schedules. Our 3D milling equipment operates on state-of-the-art controls to deliver remarkable precision for even the most complex projects. A.I. Nano and Nurbs Interpolation controls and software help make C&H Machine’s 3D milling and 3D surfacing processes possible. We use these controls and software with our high speed milling processes to maintain tight tolerances and meet the exact specifications of any project. Working from customers’ SolidWorks and other 3D model files, C&H Machine uses hyperMILL by Open Mind programming software which enables our 3D milling machines to ensure proper part dimensions without unwanted rounding of corners or design deviations. Our high speed milling machines work their tools simultaneously across all axes to produce finished products that are free of gaps, divots, and other flaws. The outstanding surface uniformity and overall quality that is possible with our 3D milling makes this high speed milling process ideal for complex designs. C&H Machine’s 3D milling and 3D surfacing services are among the finest in the industry, and we’re constantly working to improve our processes and make them even better. 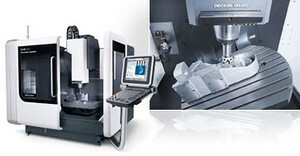 Contact us today for more details about our 3D milling and other high speed milling services.